Cataloochee Ski Area, Appalachian Ski Mountain, Beech Mountain Ski Resort, Sugar Mountain Ski Resort, Wolf Ridge and Sapphire Valley Ski Area all report fresh natural snow last night with accumulations up to 6 inches. With cool, crisp temperatures more snowmaking will resume in the late evening hours after closing. Conditions for skiing, boarding, tubing and ice skating are great for the extended holiday weekend. Get details and links on the NC Ski Resort Guide. Appalachian Ski Mountain: OPEN with skiing and boarding on 9 slopes with 5 lifts on a base of 18 - 42 inches. Ice Skating open for all sessions. Beech Mountain Ski Resort: OPEN with 7 trails and 5 lifts on a base of 7 - 32 inches. Snowmaking in progress. Ice Skating is open for all sessions. Cataloochee Ski Area: OPEN 8:30 AM - 10:00 PM on 10 slopes with 5 lifts on a base of 10-34 inches with snowmaking in progress. Tube World will be open from 10 AM to 10 PM. The Sapphire Valley Ski Area: Temporarily closed due to weather. Sugar Mountain Ski Resort: OPEN for all sessions with 9 slopes, 5 lifts and a base of 6 - 34 inches. Ice skating and snow tubing open. Natural snow and snowmaking in progress. Wolf Ridge Ski Resort: OPEN with 4 slopes and 2 lifts on a base of 16 - 28 inches for skiing, boarding, tubing and ice skating. Expires 120 days after purchase. Limit 1 per person, may buy 1 additional as a gift. Valid only for option purchased. Not valid 12/24/12-12/31/12, 1/14/13-1/16/13, and 2/18/13-2/20/13. December 24 - Cataloochee Ski Area will be skiing on 10 out of 16 slopes, from the top of the quad down, including the Lower Snowbird Trail and Alley Cat with 3 aerial lifts and 2 conveyor lifts operating, on a base of 14-40 inches and a machine worked surface from 8:30 AM-4:30 PM. Cataloochee will be open Christmas Day from 1 PM until 10 PM and Santa will make a special appearance. December 24 - Beech Mountain Ski Resort holds a Christmas Eve Service at 4:30 at the ice rink. Participants can enjoy a free hot chocolate to celebrate the holiday. Beech Mountain Resort will close at 430 PM on December 24 and re-open at 12:30 PM on December 25. December 24 - Appalachian Ski Mountain will be open for skiing and snowboarding and Santa will stop by to join in the fun from 1 PM - 4 PM. 6 slopes and 3 lifts are open on a base of 24-40 inches. ASM is closed for the Night Session on Christmas Eve, and is closed for both Day and Night skiing on Christmas Day. The Appalachian Ice Arena is open for afternoon sessions only. December 23: Appalachian Ski Mountain hosts The Rome Pre-Jib, hosted by ATP and Recess Ride Shop. This will be a Jam Format rail jam style event including The Jib Snake Run which is guaranteed to be a unique competition experience. 1st Place – Board, Boots, Bindings, and an ASM Season Pass!!! 2nd Place – Board and Bindings! Top Lady Shred – Board! The day concludes with a FREE BBQ at 4 PM at RECESS Ride Shop. Learn more about Appalachian Ski Mountain and skiing and boarding in North Carolina on the NC Ski Resort Guide. Cataloochee Ski Area: Operating for day, twilight and night skiing from 8:30 AM - 10 PM on 8 out of 17 slopes with 3 aerial and two conveyor lifts operating. Regular rates are in effect. Snowmaking will continue as long as temperatures allow. Find Cataloochee ski lodging and local information on the Maggie Valley NC Visitor Guide. Appalachian Ski Mountain: Open for skiing and boarding with 4 slopes on a 12 – 24″ base. Ice Skating will operate on a regular schedule today, with 3 sessions offered at Noon, 2:30, and 7pm. The Rome Pre-Jib is scheduled for tomorrow, Sunday, December 23. Find Appalachian Mountain ski lodging and local information on the Blowing Rock NC Visitor Guide. Beech Mountain Ski Resort: Open with skiing on 5 trails with 4 lifts on a base of 10-24 inches. A vareity of Christmas activities are scheduled including visits from Santa and the Holiday Sweater Party. Find Beech Mountain ski lodging and local information on the Beech Mountain NC Visitor Guide. Sugar Mountain Ski Resort: Open for skiing with The Sugarfest Rail Jam today. Skiing on 8 slopes with 4 lifts on a base of 8-30 inches. Ice skating and tubing are also open. Find Sugar Mountain ski lodging and local information on the Sugar Mountain NC Visitor Guide. December 21 - Beech Mountain Ski Resort re-opens for skiing today from 9 AM to 10 AM and continue open through the weekend. Santa will be visiting Beech Mountain Friday through Sunday, from 3 PM to 5:30 PM in the View Haus Cafeteria ready to hear everyone's Christmas wishes. Ice skating will be open for all session beginning at noon. On December 22 The View Haus will host a Holiday Sweater Party from 7 PM to 10 PM providing live music from Wise Old River. Holiday Beverages will be on special and prizes will be awarded for the best holiday sweater outfit. On December 24, at 4:30 PM a Christmas Eve Service will be held at the ice rink. Participants can enjoy a free hot chocolate to celebrate the holiday. Only Cataloochee Ski Area remains open for skiing today while all the NC Ski Resorts wiat for anticipated colder weather beginning Thursday. Cataloochee is making snow and Appalachian, Beech Mountain and Sugar Mountain hope to resume snowmaking Thursday night. The Sugarfest Rail Jam has been rescheduled to Saturday, December 22. Some of the area's best riders will participate in the Rail Ride session at Sugar Mountain Ski Resort. Cash prizes are offered. Sponsored by the Alpine Ski Center. Appalachian Ski Mountain: Skiing temporaily CLOSED due to warm weather. 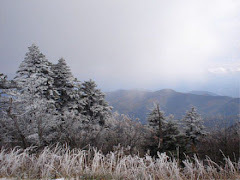 Beech Mountain Ski Resort: CLOSED (temporary) but ice skating is open for all sessions..
Cataloochee Ski Area: OPEN 8:30 AM - 4:30 PM with skiing from midstation down on 3 slopes with 2 lifts on a base of 6 - 24 inches. Night skiing has been postponed awaiting cooler temperatures for more snowmaking. The Sapphire Valley Ski Area: Opening day for 2012-13 season currently targeted for December 21, with tubing opening on the 19th - weather permitting. Sugar Mountain Ski Resort: CLOSED (temporary) due to warm weather. Ice Skating is open with sessions at 10am, 12pm, 2pm, 4pm and 6pm. December 16 - Beech Mountain Ski Resort is open today from 9 AM to 10 PM with skiing on 4 trails and 2 lifts on a base of 6 - 24 inches. Skating is open from noon to 6 PM. Beech Mountain offers a 7000 square foot outdoor rink located in the center of the Beech Tree Village. Group rates are available and children 4 and under skate free with paying adult. Learn more about Beech Mountain skiing and ice skating on the NC Ski Resorts Guide. December 15 - Cataloochee Ski Area is open today from 8:30 AM - 4:30 PM skiing on 3 trails with 2 lifts on a base of 12 - 30 inches. Cataloochee plans to begin night skiing on December 17. Try out the latest ski and snowboard equipment from Salomon, Volkl, Nordica, Burton, Head, Never Summer, K2, Atomic, Dynastar, Rossignol, Ride, and Line - just about every manufacturer displayed in store showrooms! 9am till 3:30pm, Saturday and Sunday. 1994 Olympic Gold and Silver medalist, Diann Roffe, returns as this year's celebrity coach. 8:30am, Friday, Saturday and Sunday. Food, drinks and dancing to live bluegrass music by Boss Hawg. 4pm till 7pm, Saturday. Fireworks presented by the Village of Sugar Mountain. 5:45pm, Saturday. Come out and watch or throw down with some of the area's best riders in the Ride Rail Jam session. 10am, Sunday. Watch 1992 Olympic Silver medalist Paul Wylie dazzle us with his amazing skating talent. Followed by an on-ice clinic. 7pm Friday. Olympic medalists Diann Roffe and Paul Wylie show their medals and sign autographs. 7:30pm, Friday. Hot Chocolate and Whipped Cream Bar: 6pm, Friday. Soup Safari: 11am, Saturday. BBQ and Sweet Tea: 5pm, Saturday. Lots of food and drink to fill you up and enjoy! Get a link for SugarFest and Sugar Mountain Ski Resort on the NC Ski Resort Guide. December 12 - Cataloochee Ski Area is open for skiing on 3 slopes with 1 lift from 9 AM - 4:30 PM. Snowmaking began yesterday and will proceed as continuously as much as temperatures allow. Night skiing is scheduled to begin on Monday, December 17. Get a link for all NC Ski Resorts and areas and a locator map on the NC Ski Resort Guide. December 11 - Catalooche is reporting colder weather with a few natural fluries and has resumed snowmaking in the evenings. Daytime skiing from 9 AM - 4:30 PM on 3 slopes with 1 lift continues. Sugar Mountain Ski Resort is making snow and hopes to re-open soon. Beech Mountain Ski Resort is making snow and will re-open this Friday, December 14 for skiing from 9 AM - 10 PM. December 10, 2012 - Sugar Mountain Ski Resort is currently closed for skiing and snowboarding due to weather. The resort will re-open as soon as cold weather returns allowing snowmaking to continue. Cataloochee Ski Area open today for daytime Skiing. December 10 - Cataloochee offers skiing from midstation down on 3 slopes with the Omigosh Double Chairlift operating from 9:00 AM until 4:30 PM. There are no beginner lifts operating today. The base is 6 - 29 inches. Colder temperatures are predicted as the week progresses and more snowmaking can resume. NC Ski Slopes struggle to stay open during warmer temperatures - cold snap on the way? December 9: Cataloochee open with skiing from midstation down on 3 slopes and a base of 7-30 inches with the Omigosh Double Chairlift and Easy Way Chairlift operating from 9 AM until 4:30 PM. December 9: Sugar Mountain Ski Resort is open for all sessions with 2 slopes, 1 lifts and a base of 6 - 26 inches. Ice skating and snow tubing open. December 9: Beech Mountain Ski Resort is closed (temporary) and currently scheduled to re-open on December 14. Appalachian Ski Mountain: Skiing temporaily CLOSED due to warm weather. Skating is open 12-7 PM. Beech Mountain Ski Resort: CLOSED (temporary) and currently scheduled to re-open on December 14. Cataloochee Ski Area: OPEN 8:30 AM - 4:30 PM with skiing from midstation down on 4 slopes with the Omigosh Double Chairlift and Easy Way Chairlift operating. Once again, guests unhappy with conditions will receive a full refund after one run. Night skiing will begin on Monday, December 17. Sugar Mountain Ski Resort: OPEN open for all sessions with 4 slopes, 1 lifts and a base of 9 - 29 inches. Ice skating and snow tubing open. Find more Catoochee Rental and cabin on the Maggie Valley NC Visitor Guide or the Waynesville NC Visitor Guide. Both Beech Mountain Ski Resort and Appalachian Ski Mountain are temporarily closed due to the warm weather preventing snowmaking. Cataloochee is open for day skiing and Sugar Mountain remains open for all sessions. Appalachian Ski Mountain: Slopes CLOSED until Dec 8. Ice Skating open from noon until 7 PM. Alpine Ski Shop is open. Beech Mountain Ski Resort: OPEN 9 AM - 4:30 PM with 5 slopes, 3 lifts on a base of 10-28 inches. Cataloochee Ski Area: OPEN 8:30 AM - 4:30 PM with skiing from midstation down on 5 slopes with the Omigosh Double Chairlift and Easy Way Chairlift on a base of 10-34 inches. Once again, guests unhappy with conditions will receive a full refund after one run. Sugar Mountain Ski Resort: OPEN for day and night skiing with 5 slopes, 2 lifts on a base of 8-30 inches. Ice Skating is OPEN ofr session from 10 AM - 6 PM. Snow Tubing is OPEN with sessions from 12 PM - 6 PM. December 3 at Appalachian Ski Mountain in Blowing Rock pay only $5 for ski lift tickets. ASM celebrates its 50th anniversary by offering skiers the original ticket price - $5. Ski today on 3 slopes with 2 lifts on a base of 12- 16 inches for day time skiing. Get a link for Appalachian Ski Mountain and other NC Ski Resorts on the NC Ski Resort Guide. December 2 at Cataloochee Ski Mountain - 11th annual Can-U-Ski Food and Coat Drive for Haywood Christian Ministries. Celebrate the season by helping to give back to the community by bringing just 10 cans of food and/or a warm winter coat in good condition and receive a free lift ticket from 8:30am-4:30pm. New this season, drop off your food and/or coats in the Ghost Town parking lot at the Haywood Christian Ministries van and you will receive your lift ticket at that time. Appalachian Ski Mountain: OPEN 9 AM - 10 PM with day skiing only $5 to celebrath ASM's 50th anniversary. Beech Mountain Ski Resort: OPEN 9 AM - 10 PM with 5 slopes, 4 lifts on a base of 14-30 inches. Cataloochee Ski Area: OPEN 8:30 AM - 4:30 PM with 7 slopes, 2 lifts on a base of 12-36 inches. Sugar Mountain Ski Resort: OPEN for day and night skiing with 5 slopes, 2 lifts on a base of 13-40 inches. Ice Skating is OPEN ofr session from 10 AM - 6 PM. Snow Tubing is OPEN with sessions from 12 PM - 6 PM.